As news of "Jackass" star Ryan Dunn's death began to circulate on Monday (June 20), those who knew him best paid tribute to their fallen friend and struggled to come to terms with the loss of a man whose antics touched the lives of many. 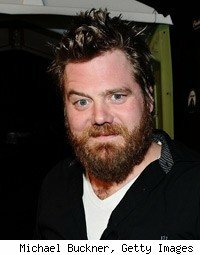 In a message posted on the website of Dickhouse Entertainment (the producers of the wildly popular "Jackass" series and shows like "Rob & Big" and "Wildboyz"), Dunn was remembered by Johnny Knoxville, director Jeff Tremaine and "the entire 'Jackass' family" as a "brother," though the pain of his death was understandably evident. I always expected Steve-O to be first. I never saw any of the movies, just some clips. (06-21-2011, 03:48 AM)Kreeper Wrote: I always expected Steve-O to be first. - only to die in a traffic accident..? Driving 132mph and drunk. Truely a jackass. (06-23-2011, 05:54 PM)yankees Wrote: Driving 132mph and drunk. Truely a jackass. True to his style to the bitter end, I guess.